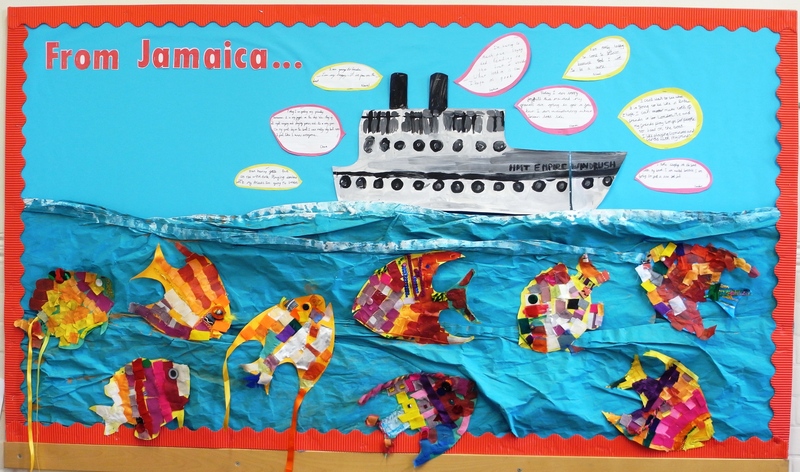 During Black History month my Year 3 class learned about the experiences of Windrush passengers. We imagined the journey, from leaving the sunny shores of the Caribbean to arriving in a much colder, greyer Britain. 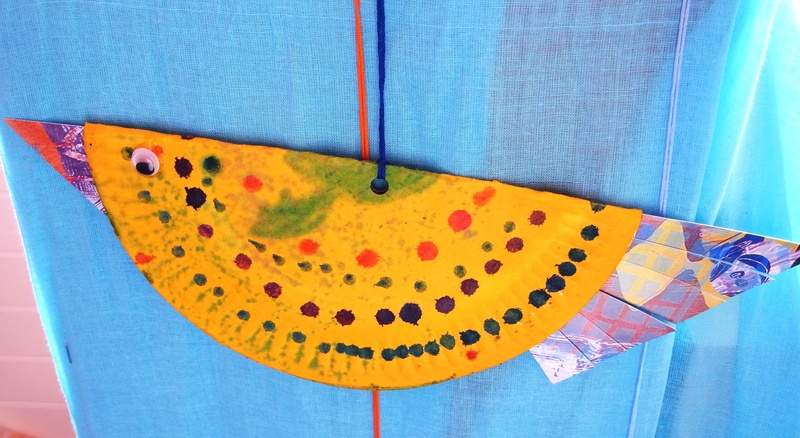 We considered how colour can evoke a mood and the children produced textile fish to represent these two very different parts of the world. 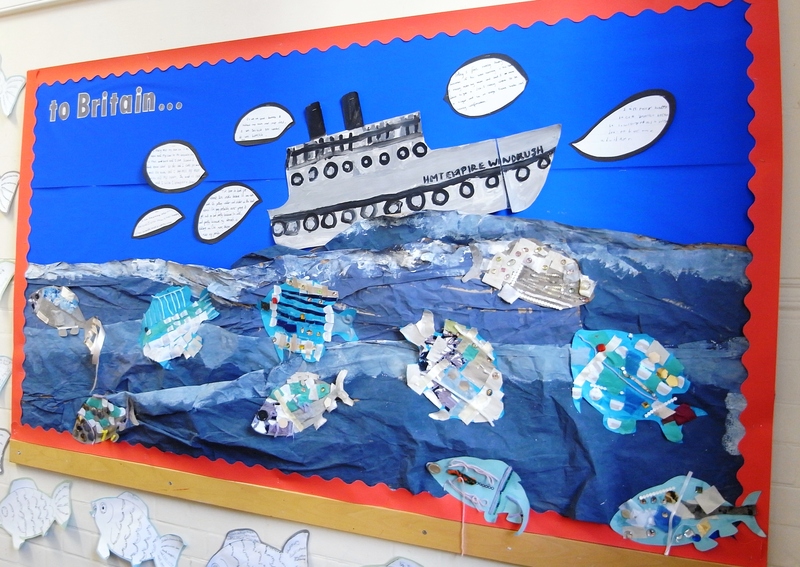 Children were involved in producing every aspect of this display. Some sponge painted paper packaging that I had kept hold of to create the waves. 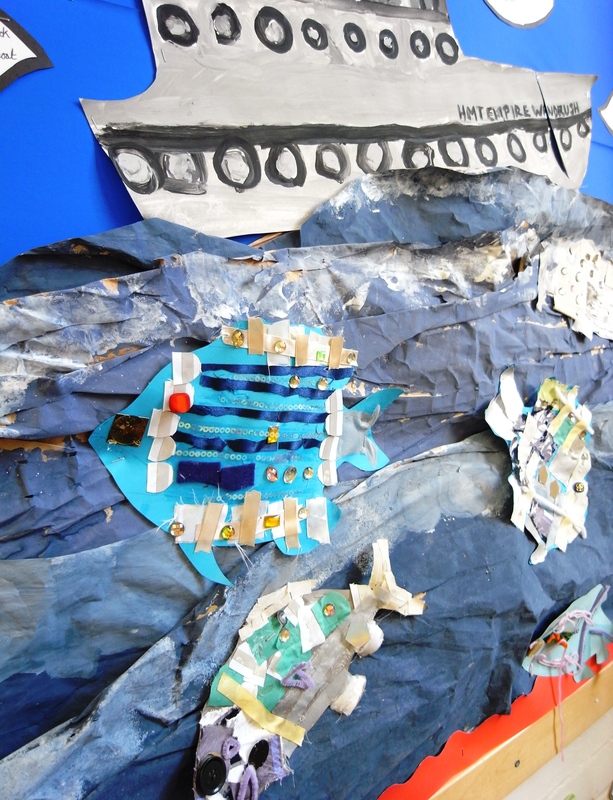 Others drew and painted the ships and wrote speech bubbles describing the passenger’s experiences. 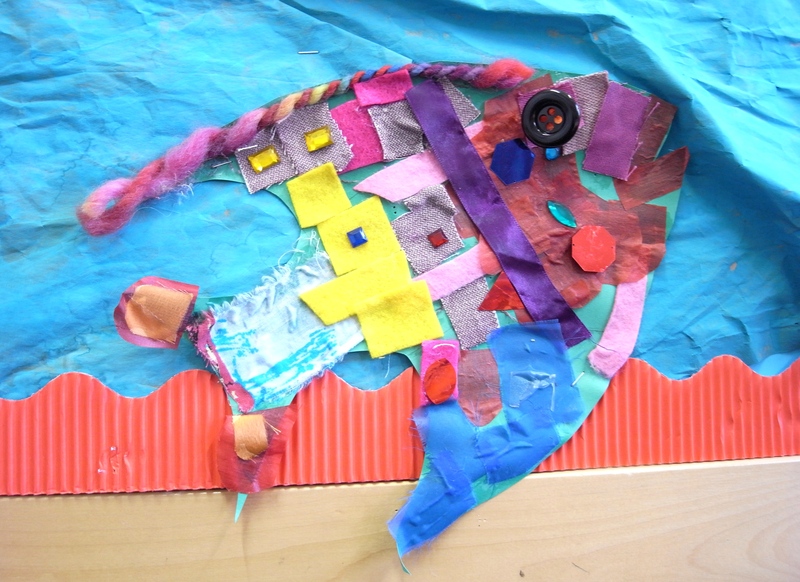 The class also wrote sensory poems describing the journey and wrote them on fish shapes. You can just see them around the edges of the display board. 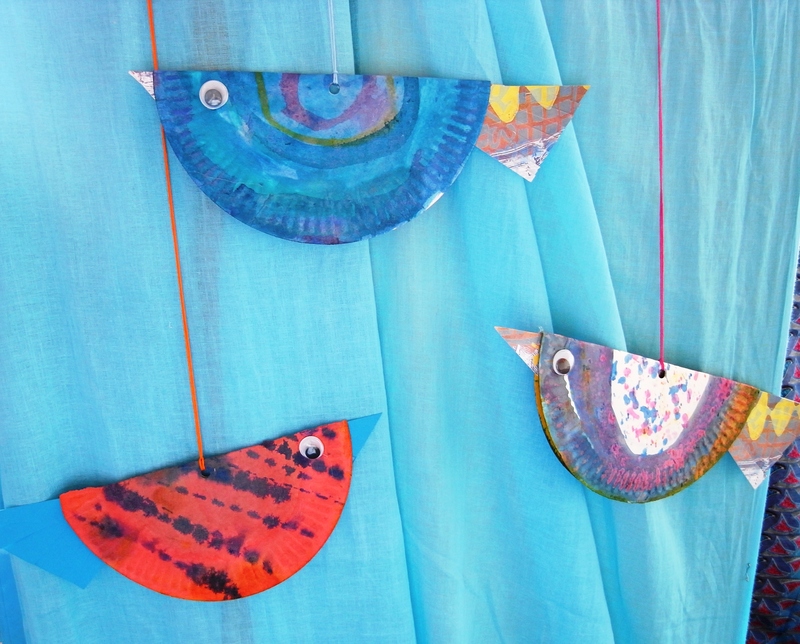 As part of our topic on the Windrush my Year 3 children also created these Caribbean birds to decorate our book corner. We painted paper plates in one base colour to begin with, using inks (darker colours are best avoided as the base colour as patterns won’t show up). 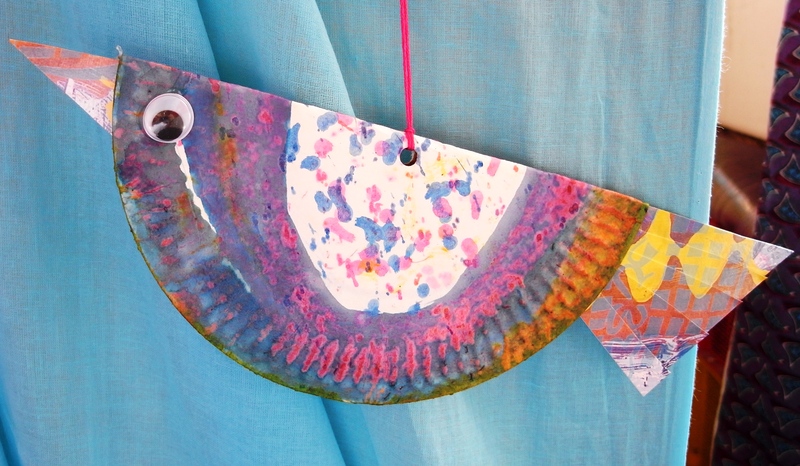 Having shown the children images of tropical birds, the children then tried to recreate some of the vibrant colours and patterns that they saw using inks and my box of mark making tools. Inks are more expensive to buy than poster paints but you can’t beat them for intensity of colour and interesting, splodgy results! Once the ink was dry, I gave children a range of old greeting cards and postcards. They cut out shapes for beak and tail and I stuck these between the folded plate, using a glue gun, along with googly eyes! 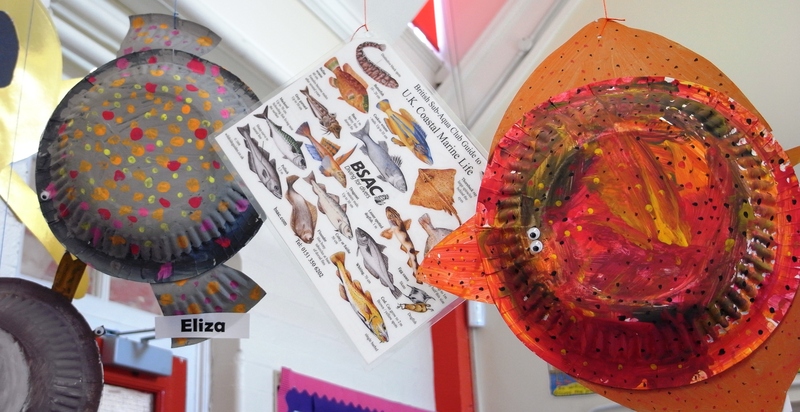 Year 2 children created these 3D models after spending some time looking at images of Caribbean and British fish and discussing the differences in colour and pattern and how this relates to different climates. 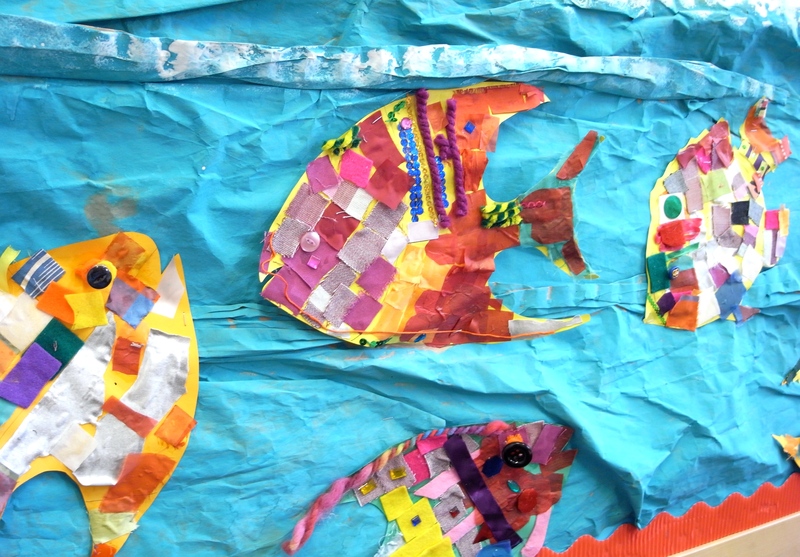 The fish are made from two small paper bowls which the children firstly painted with a base colour. They then added patterns using brushes and other mark making tools. They also painted and cut an additional bowl for fins and tails. The separate pieces were stapled together once dry and googly eyes were added.